Despite what you would gather from reading my blog posts, I have only been metal detecting for a short while. Before that, you could find me scrounging around in old bottle dumps and hunting yard-sales for cheap treasures that struck my fancy. I am a treasure hunter at heart and I suppose that taking up a metal detector was just the next logical step. I look at metal detecting as my way of connecting with the past. I think everyone has a different motive for metal detecting. Some metal detect to keep busy, others to stay active, a handful to get rich, and the rest to discover something that could link them to the past. I would say I am one of those looking for a link to the past. I am seeking that link to the past–chasing that narrative that people from long ago left behind. The opportunity to uncover an object that tells the narrative and to be the first to hold an item since the day it was lost–that is what I love and that is why I metal detect. I was speaking with Howard Hewitt the other day–you may recognize his name from Travel Channel’s DigFellas. Howard and I have forged a friendship on the basis of our passion for history. I suppose you could say that we are in search of the same narrative. Having become quite familiar with the history of the Wright Estate (the underground railroad house), I am confident in the fact that Jocelyn Olcott will find herself emotionally involved, with the (impressions) of what the Wright family had impacted their emotions with- on site. Surely- she will find the Green River Knife that Abigail Wright had lost during the joyous occasion,of carving the Jack-o Lanterns on the Harvest Festival of October 1832 ! Or the Silver Coat Button that Grand Father had lost, during the scuffle with Thomas Hilderman next store, on that brisk day of February, 1808. True stories; very much like these are sure to be told by their…..REPRESENTATIVE . One who HAS ears to hear. For what most CANNOT or WILL NOT HEAR simply by choice. Jocelyn on the other hand; is to openly share her excitement, that is sure to be almost intoxicating by its very nature. I hate to recycle a worn out expression, but Howard hit the nail on the head. This is the reason I metal detect. 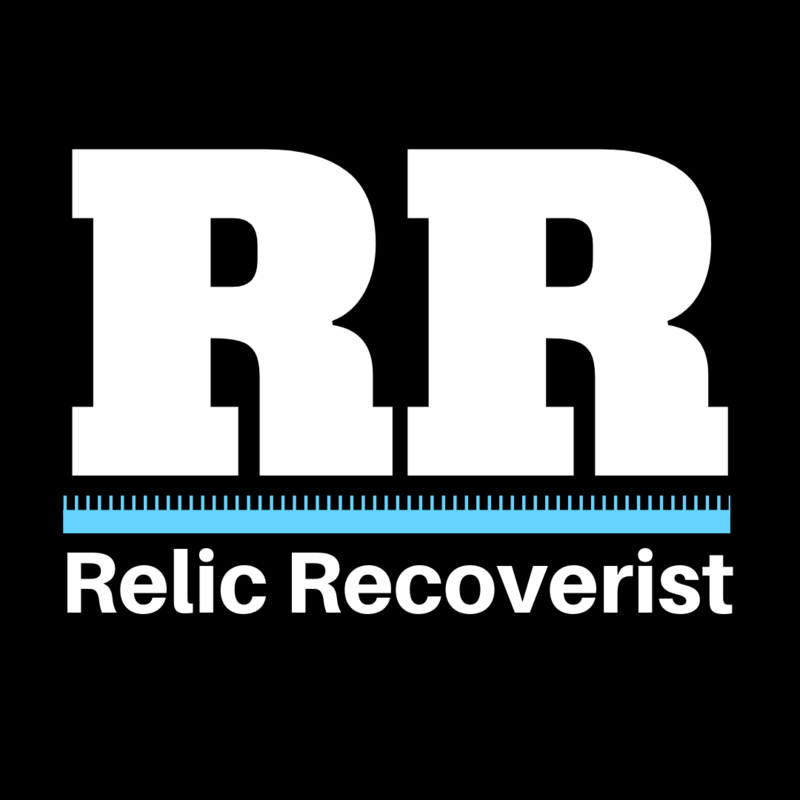 This is why I call myself a relic recoverist. Howard and I also discussed my trip to the historical society. The ladies that I met were ridiculously knowledgeable, but I think in spending time at the historical society I discovered more about myself than the subject I initially sought out to research. I could never do what these ladies do. I could never pour through these massive books in search of dots to connect. 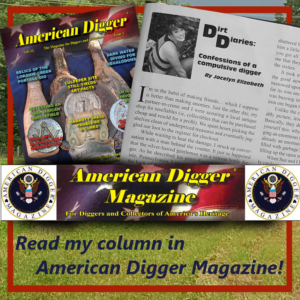 I need to be getting down and dirty with history–whether I am pulling a bottle out of an old dump or swinging my metal detector at an old homestead. This is how I discover history and this is how I chase that thrill that comes with holding the past in my hands. In the future, I hope to take you on my adventures–either through my blog or through my videos. I want you to feel the same excitement that I feel when I come across a piece of history–when I come across that Green River Knife lost by Abigail Wright. My reason for writing this blog and contributing to these forums is to take my readers along and hopefully awaken a similar passion within each of you. So please take a moment to subscribe below or join my page on facebook.